I think the same thing can and should be said about our Republican candidates for president. These candidates are too busy listening to their all white staffs and all white pollsters who tell them not to come out and say remove the confederate flag from flying in South Carolina for fear of angering Southern white folk. And they wonder why Blacks want nothing to do with this party or their candidacies? I am thoroughly embarrassed by their total lack of conviction. These same candidates that say flying the confederate flag is a state issue want states to have no say so on an issue like abortion. Are they really for states’ rights or just when they don’t want to take a principled stand on an issue? If someone refuses to support your candidacy because you are trying to move America beyond its racist past; should that not be a badge of honor for you? But these candidates are giving all their attention to a shrinking base (white voters), versus giving some of their attention to a growing base (Black voters). I am not personally bothered by the flying of the flag at all. Support for the flag does not automatically equate to being a racist or supporting the enslavement of Blacks. I think Blacks have more important issues to deal with, but the optics are horrible for Republicans simply because over the past 50 years Republicans have absolutely no standing within the Black community. I am equally as embarrassed by Black Republicans on issues dealing with race. Of the few Black staffers working throughout our party, most are totally incompetent in dealing with these issues. You rarely, if ever, see them in the media with anything meaningful to say. They have no insight that would resonate with the Black community. They are more interested in being patted on the head by whites within the party, as opposed to finding a way to bring some perspective to the issue. Why is the party not utilizing people like Bob Brown, Bob Woodson, Shannon Reeves, Mike Gunning, Sean Moss, Allegra McCullough, and Greg Griffin? I will tell you why. Because most in the party have no idea who these people are. These are the Blacks with standing and credibility within the Black community. These are the Blacks who are media savvy and have institutional memory of the Black struggle and of the party. These are the Blacks that will not just say what the party wants to hear; but will say what needs to be said. The Republican Party has never had a real surrogate program for Blacks, but one is desperately needed with the above mentioned people. Where are the Black entertainers and athletes? Amazingly, some Republicans do actually get it. Mitt Romney has been consistently opposed to the flying of the flag. There is absolutely no ambiguity in his position. Romney has a great deal to contribute to the discussion of race relations relative to the Black community and I hope he will engage more directly with the Black community so that his voice can be heard, unfiltered by the media. 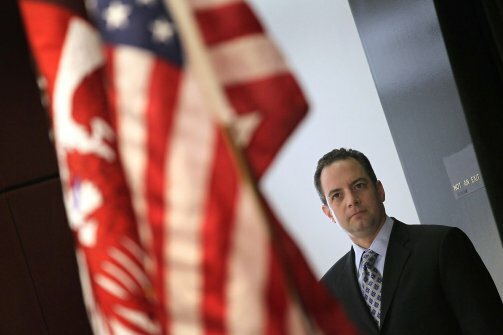 Reince Priebus, chairman of the Republican National Committee, is another person who gets it. Yesterday he unexpectedly flew to South Carolina to be with their governor, Nikki Haley and their two U.S. Senators Lindsey Graham and Tim Scott as she gave her support to removing the flag from being flown on the grounds of the state capitol. Priebus reached out to me when the tragedy happened in South Carolina; but before he asked me my thoughts on how he should respond, he insisted on giving me his thoughts first. What I find amazing about Priebus is that every time he has reached out to me on an issue specific to the Black community, we basically agree with each other. We may disagree somewhat on tactics, but on substance, no. I find his instinctual ability to pick up on many of the nuances of the Black community amazing for someone who grew up in a state like Wisconsin. My only criticism of Priebus is in the area of not allowing this instinctual understanding to be seen in the media, especially the Black media. The media has no idea of how Blacks respond to him and his message for the Black community. I would love to see Republicans like Romney and Priebus engage more with the Black community on a more substantive level. They both have great stories to tell relative to the Black community; they just need to have a media narrative created in a way that resonates with the Black community and advances the party. Reasonable men can argue whether America is a nation of cowards when it comes to race; but there is absolutely no arguing that Republicans who are running for president are a bunch of cowards when it comes to race and the Black community. Hey Buddy!, I found this information for you: "Some Republicans Are Cowards on Race". Here is the website link: https://blackmeninamerica.com/some-republicans-are-cowards-on-race/. Thank you.